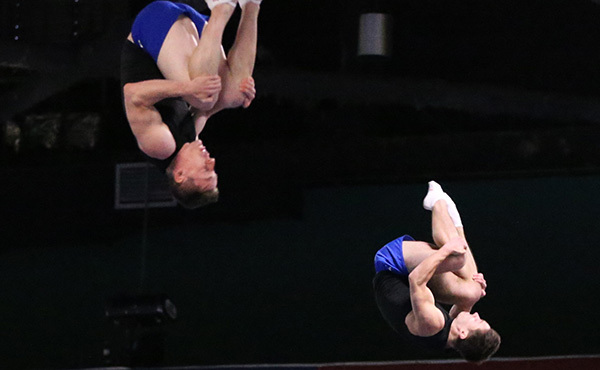 INDIANAPOLIS, Ind., March 17, 2015 – Everett, Wash., will again play host to more than 300 of the world's best gymnasts when they compete in the 2016 Pacific Rim Gymnastics Championships at the XFINITY Arena at Everett, April 8-10, 2016. 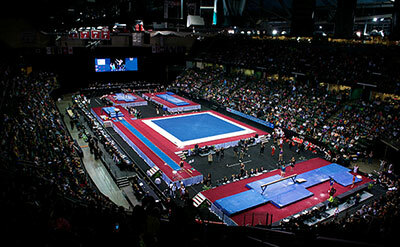 In 2012, Everett hosted the three-day international event that features the top gymnasts from the Pac Rim countries. 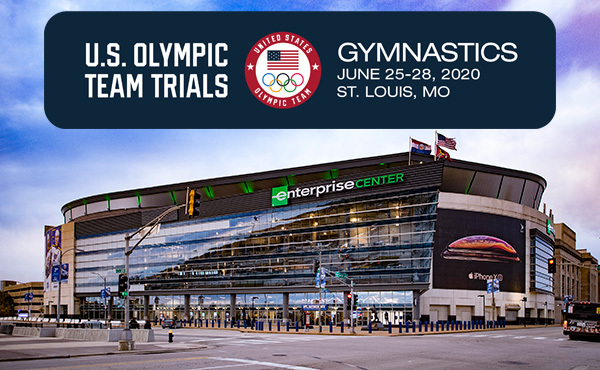 The three-day event is expected to feature athletes from more than 14 countries, including Canada, China, Japan, Russia and the United States, competing in men's and women's gymnastics, rhythmic gymnastics, and trampoline. 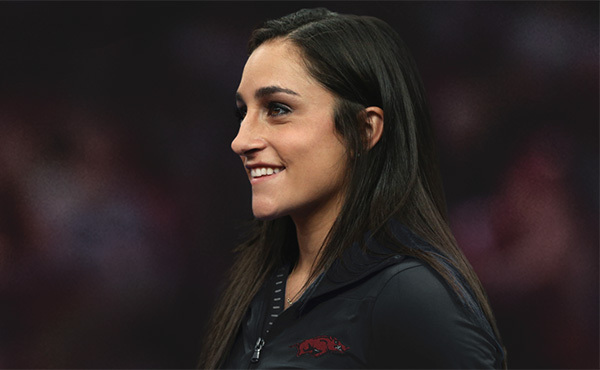 The 2012 Pac Rim medalists included several Olympic medalists: Gabrielle Douglas of Virginia Beach, Va./Buckeye Gymnastics, Kyla Ross of Aliso Viejo, Calif./Gym-Max, and Jordyn Wieber of DeWitt, Mich./Geddert’s Twistars, 2012 gold medalists in women’s gymnastics; and Rosannagh Maclennan, 2012 gold, and Karen Cockburn, 2008 silver, both of Canada, in trampoline. Olympians who medaled at the Pac Rim Championships in 2012 include: Jake Dalton of Reno, Nev./Team Hilton HHonors (University of Oklahoma), Sam Mikulak of Newport Coast, Calif./Team Hilton HHonors (University of Michigan), men’s gymnastics; Julie Zetlin of the USA and Janine Murray of Australia, rhythmic gymnastics; and Steven Gluckstein and Savannah Vinsant of the USA, Jason Burnett of Canada, Blake Gaudry of Australia, and Victoria Voronina of Russia, trampoline. 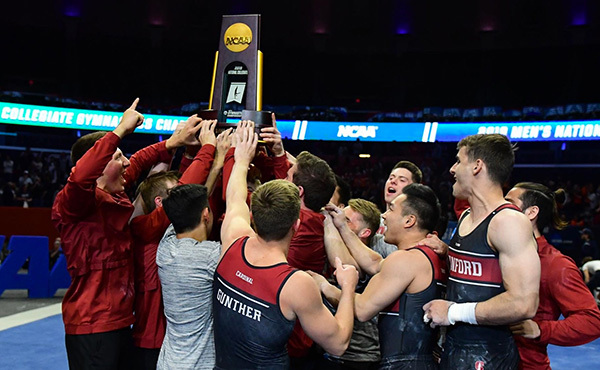 In addition to the Pacific Rim Championships, the Seattle area has held three other major gymnastics events: the gymnastics competition at the 1990 Goodwill Games was staged in Tacoma, and Seattle was the site for the 1995 American Cup and 1973 women's national championships. Tickets will go on sale later this year. 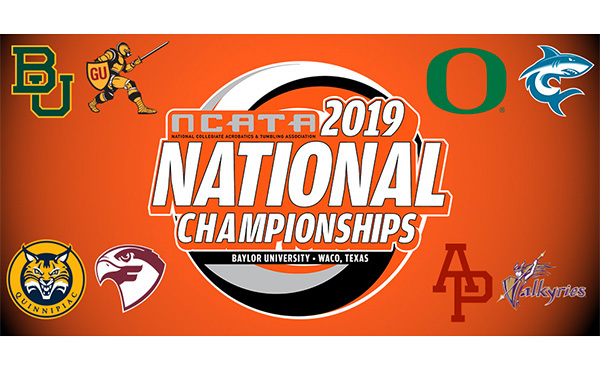 The tentative schedule is: April 8 – men’s and rhythmic gymnastics; April 9 – women’s and rhythmic gymnastics; and April 10 – men’s and women’s gymnastics, and trampoline. 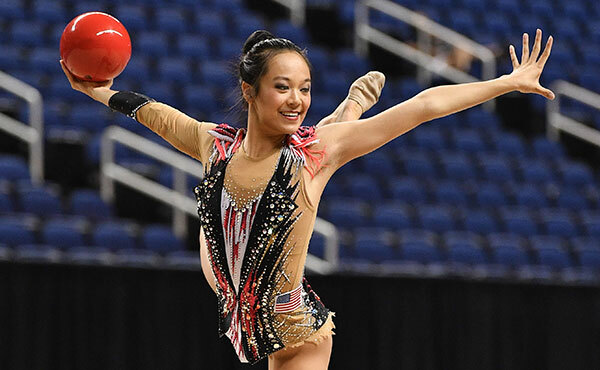 Held every two years, the Pacific Rim Championships traditionally feature gymnasts from Australia, Canada, China, Chinese Taipei, Colombia, Hong Kong, Japan, Korea, Malaysia, Mexico, New Zealand, Philippines, Russia, Singapore and the United States. NBC Sports will televise action from the Pacific Rim Championships. Past sites are: 2014, Richmond, B.C., Canada; 2012, Everett, Wash.; 2010, Melbourne, Australia; and 2008, San Jose, Calif.
XFINITY Arena at Everett. The XFINITY Arena at Everett, recipient of the International Association of Venue Manager's (IAVM) prestigious Venue Excellence Award 2010, was developed by the Everett Public Facilities District. The 10,000-seat venue hosts a myriad of events including concerts, ice skating and family shows. The facility is also home to the Everett Silvertips, a Western Hockey League franchise, and the Northwest’s only banked track roller derby league, Tilted Thunder Rail Birds. The venue accommodates other sporting events such as basketball, volleyball and international skating competitions. Global Spectrum (global-spectrum.com) manages the XFINITY Arena at Everett, as well as more than 125 other public assembly facilities around the world. Nearly 24-million people attended more than 15,000 events in Global Spectrum venues last year. Based in Philadelphia, Pa., Global Spectrum is part of Comcast-Spectacor, one of the world's largest sports and entertainment companies.